Minneapolis-based start-up Holaira Inc. has announced the completion of a $42 million Series D financing round that will fund the first clinical trial of a novel catheter-based denervation treatment for chronic obstructive pulmonary disease (COPD). 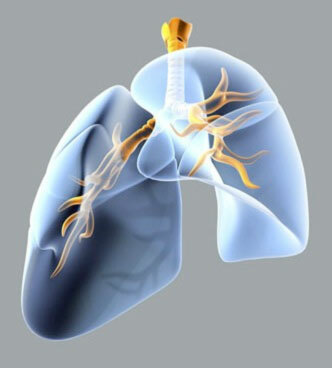 The procedure, which Holaira calls targeted lung denervation (TLD), treats overactive airway nerves. It works by inhibiting the neurotransmitter acetylcholine. The company says the procedure opens obstructed airways to improve breathing and has the potential to provide lasting improvement in the whole lung. This round of funding will support the first randomized lung denervation clinical trial with a sham control. Dennis Wahr, MD, president and CEO of Holaira, said that the company had completed multiple animal studies and two human feasibility trials, and is ready for this next step. Denervation involves applying radio-frequency or ultrasound ablation to the target area. Much money has been spent developing the use of the technique as a treatment in the kidneys for refractory hypertension. Just ask Medtronic. The Series D private equity financing round, which totaled $42 million, was led by Vertex Venture Holdings Ltd. Other participants in this financing round included Windham Venture Partners, two strategic investors, and all of Holaira's existing venture investors: Advanced Technology Ventures, Morgenthaler Ventures, Split Rock Partners, and Versant Ventures. "This financing signals a strong endorsement from the investment community for our product development progress and support for our upcoming clinical trials for the Holaira Lung Denervation System," Wahr said in a release. "Until now, COPD patients have had few options for managing their symptoms," said Dr. Lincoln Chee, venture partner of Vertex Venture Holdings. "We believe that Holaira's proprietary technology enables a fundamental advance in COPD treatment. We anticipate that this simple bronchoscopic treatment will provide lasting lung function improvement by opening obstructed airways." COPD is said to be one of the leading, yet under-recognized, causes of morbidity and mortality. It is characterized by a persistent airflow limitation due to a progressive narrowing of the airways that interferes with normal breathing. This results in shortness of breath (dyspnea), wheezing, chest tightness, and a productive cough. Worldwide,it is estimated that nearly 190 million people have COPD. More than 15 million adults have been diagnosed with the disease in the United States alone.